Welcome to the beautiful Nantahala Lake and surrounding communities, located in the state of North Carolina. This breathtakingly gorgeous area is home to countless fun and exciting indoor and outdoor-based activities. Hit the lake for a fantastic day of fishing, water skiing, or just cruising around. Didn't bring a boat on vacation with you? No problem, there are a variety of local vendors lakeside willing to rent you and your friends a family a boat for a day or even weeks’ worth of adventuring! Take to the lake on your rented boat for a day of glorious cruising, and soak up as much of the beautiful surroundings as you can. If you prefer to let the locals drive the boat, check out Smoky Mountain Jet Boats and let your guide zip you around the lake in style while you soak in the beautiful surroundings. If you are looking to squeeze in some retail therapy while on vacation, be sure to check out Pincu Pottery. This high-end retail location sells breathtakingly beautiful pottery and is a great place to relax and cool off in the air condition while shopping. This area is also flush with a variety of local eateries. From high-end steakhouses to mom and pop BBQ joints specializing in the famous Carolina style BBQ, guests are sure to not go hungry while in the area. Come experience the beautiful forestry and majestic lake in Nantahala Lake and the surrounding communities! 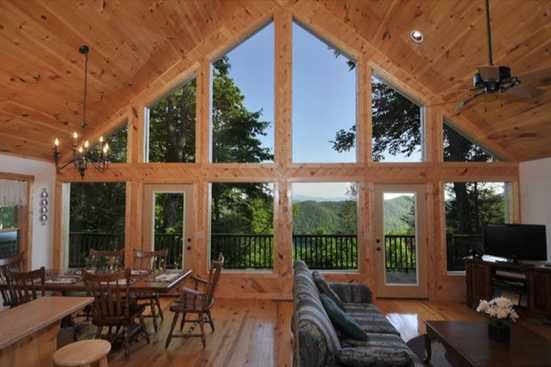 Smokymountainsbyowners.com is the best and most efficient way to find, plan, and book your vacation rental property. From the large variety of both indoor and outdoor-centered activities, guests are sure to have an unforgettable vacation experience. SMBYO.com aims to take the hassle and stress out of planning and booking your vacation rental property, so all you must do is decide which adventure to partake in first. Book now, you won't regret it!